It occurred to me, after I sent diane Robinson a link to the blog, that I had not yet mentioned the book I contributed to. First off… diane is not a typo. I like to make sure people understand that… she is ‘little d’. In fact, someday when I grow up, I hope to be just like her. If you ever come by the garden, you’ll get to meet her too… and a lovelier lady you could not hope to meet. Mostly I haven’t said lot about the book, because I’ve been worried it might come off as self-promoting, and I’m not a big fan of that – which seems like an oxymoron when I have a blog, but it’s true. But in the end, I think about what the experience of working with Daniel has done for my own exploration of the art, and I have to hope that someone may catch some of that from the book for themselves. Written by Will Hiltz, I contributed to the photography in the book along with a forward. Eric designed the cover – with a little touch from diane, and provided more support than he’ll ever get credit for. Daniel – well he talked a lot… which he loves to do. 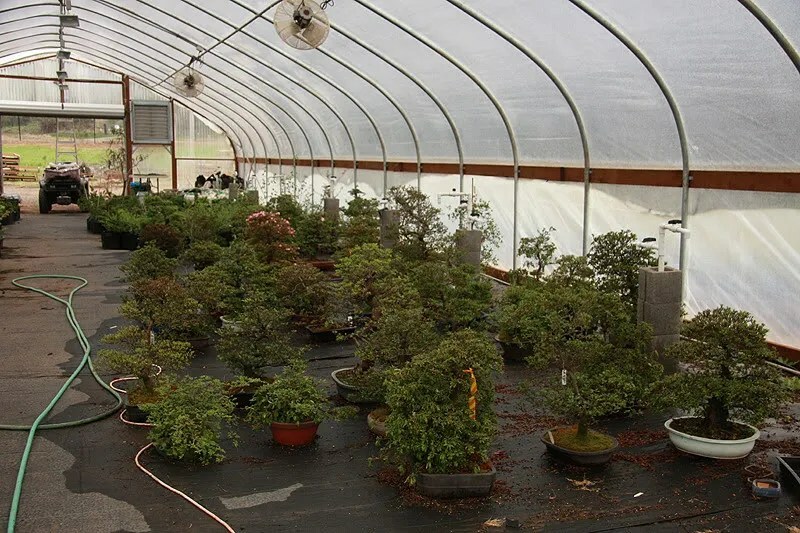 For someone interested in a deeply personal journey through the formative years in American bonsai, it’s a very interesting read. For those who want to see some beautiful trees, I don’t think you’ll be disappointed. I have mentioned before that Daniel has the habit of giving me a bad time when he thinks he has a reason, mostly because it amuses him. He’ll question a choice I might make, but he never stops me from being true to what calls to me stylistically, even when it’s on his own trees, which is more faith and trust than one has a right to hope for. I have always been deeply grateful for that faith and trust. When I read/hear about students speaking of their teachers/masters in hushed tones of reverence… I get it… I really do, but likely not for the same reasons. Daniel has my love and devotion because he granted me the respect of an equal from the first day we met. He’s never called me a student, just a fellow sojourner in the art. Getting to help capture his work in the context of this book is honestly one of the proudest accomplishments of my life thus far. The book can be picked up in a few different places, but if you want an autographed one – for the same price, you can only get those from Elandan. Yah… it’s time to take a temperature. Blogging is a new thing for us, and it would mean a lot to us if you would take a second to let us know if we’re being useful to you as a reader, or if you wish we were doing something else. Of course there’s a lot of ground we haven’t covered… it’s still winter… style and design is something we’ll hit more heavily as the season warms up. But I thought I would play with a poll to see if people would tell us if they like what they’ve gotten out of it so far. Stats are nice, feedback is awesome. Thanks! Reproduction: The development of fruit, seed pods, or cones on a tree. This usually happens during periods of active growth through to fall. Reproduction for a tree early in its development is mostly a negative thing. It is very important not to allow a tree in active development to come into a state of mature seed as the entire process robs the tree of significant energy. Less active growth will occur in a tree which has gone heavily into producing seed. Enjoy your flowers on a tree, but if it is in development – remove most of them, and be sure to remove the full flower head when it is spent. The only trees which should be allowed to fruit are ones which are mature and not in active development, and even then it is good to give them occasional years of non-fruiting seasons to maintain their health. Fruit and flowers are also the only things which will not reduce over time with bonsai horticulture. If you are working with a pear… no matter how small you can get your leaves, you will have a large piece of fruit on your tree. If you enjoy fruits, select species like crabapples (Malus) and Japanese winterberry (Illex serata) which are known for their smaller fruits/berries. Trees allowed to flower or fruit should be well fed in order to help offset the energy being taken up in that process. This is often species specific and should be researched for the tree in question. Stasis: The period of time between active growth and dormancy; or the state of a tree so far in its development that fine ramification has occurred which results in slow and/or minimal change in the tree. The first kind of stasis occurs when the active growing period is completed for the season and the tree is no longer putting on vigorous new growth. During this time it is building up reserves for dormancy and the next period of active growth. Some trees don’t have a period of stasis, tropical species or other vigorous trees like elms will continually put on new foliage if you continually prune it. The very nature of pruning a tree can negate stasis as many species will continually put on growth to try and build up its reserves for its dormant period. 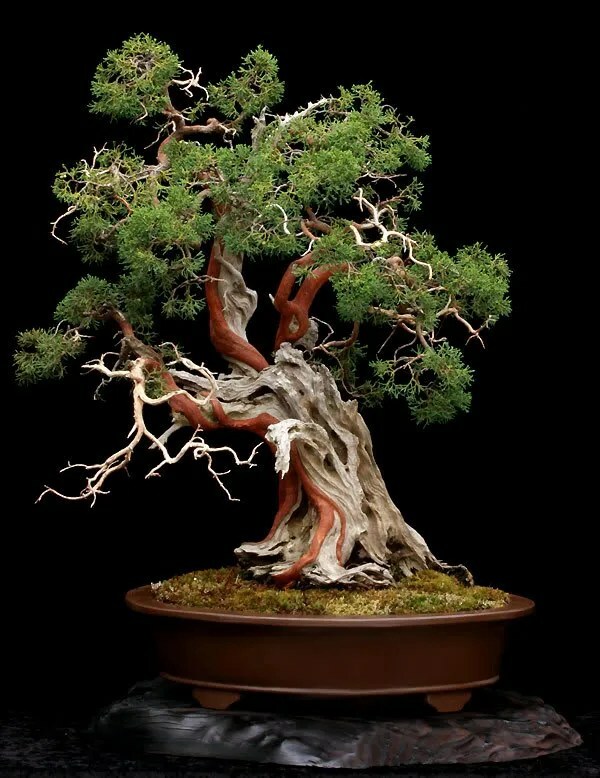 For a mature bonsai, stasis is the goal because the smallest possible ramification has been achieved. 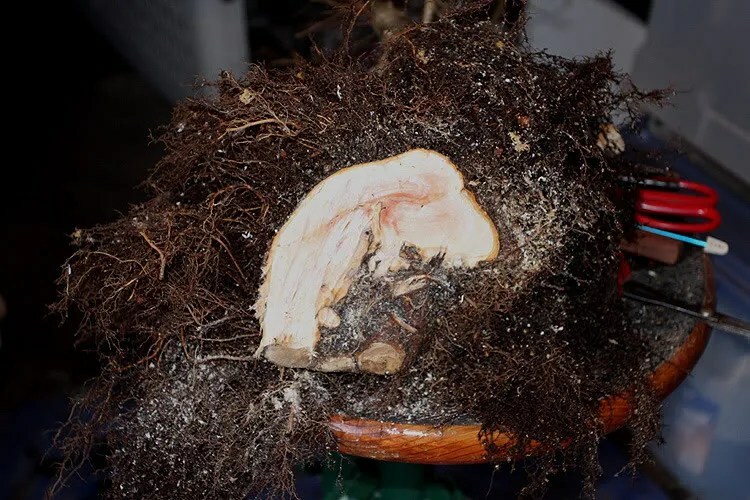 Since root pruning provides room for many new roots to be developed, thereby stimulating juvenile growth, the repotting of mature trees is done less often in order to slow the active growth period and prevent bursts of new growth. 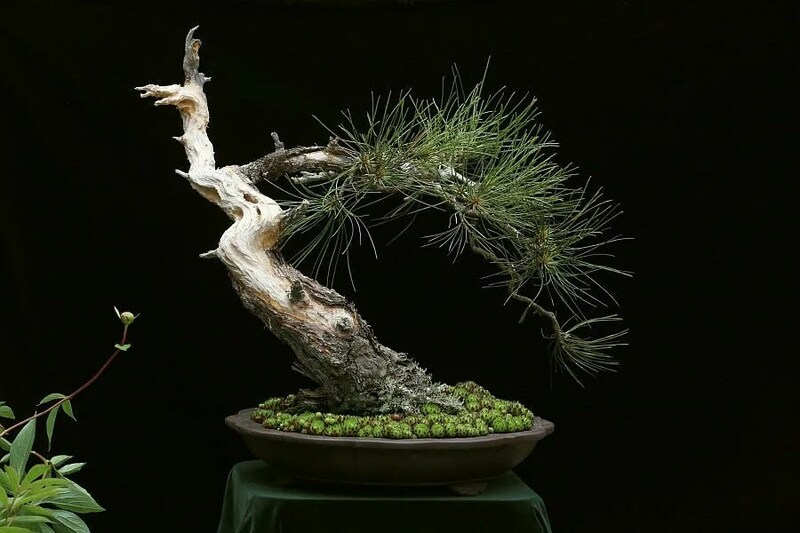 However, a mature bonsai kept in stasis too long can become weakened by not having new higher functioning roots, so even a mature tree needs to be reinvigorated from time to time by radical pruning of both roots and branches, necessitating the redevelopment of the tree’s structure. 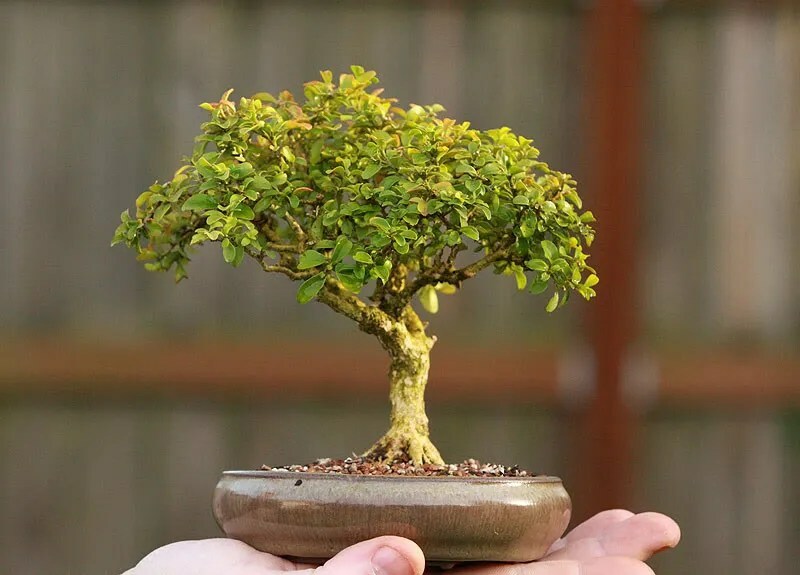 If you are reading this you want to learn something about bonsai… sometimes we don’t even know what we are searching for… just something, anything really, which will help us be more successful in keeping our trees alive. Originally this was going to be one huge post, and then my husband rightly pointed out that I was literally (without accounting for the photos at all) posting a ten page paper as a blog post, which is of course laughable in the blogging world. So here’s what we’re going to do… We’re breaking up the essay into more digestible chunks, but please know that it was intended to be a single presentation on how to become more aware of your trees in a way not often talked about. Every couple of days a new part will be posted. Eric has his various soap boxes, and horticulture is mine. 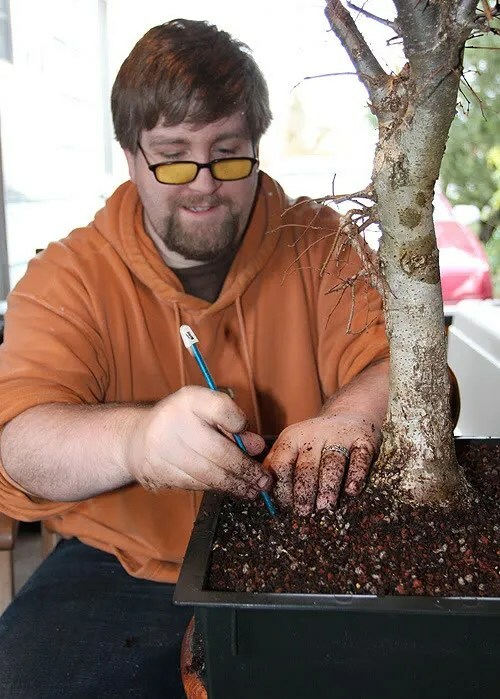 If you serious about being successful in bonsai, the first thing you need to do is pay attention to your trees while armed with enough knowledge to know what they are trying to tell you. 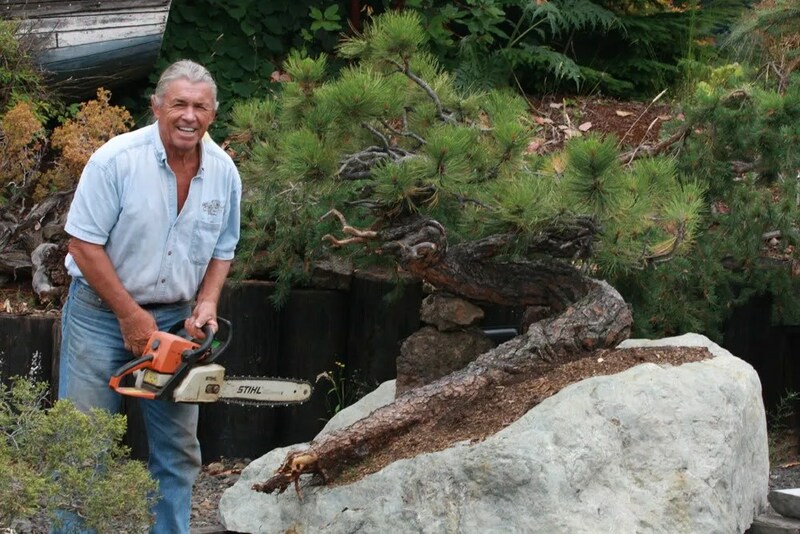 So here we go… I hope you enjoy the journey of this kind of long-winded but useful digest of a year in the life of a bonsai tree. The following is a series of observations based on real world experience and study under the guidance of our teacher (Daniel Robinson) and others. 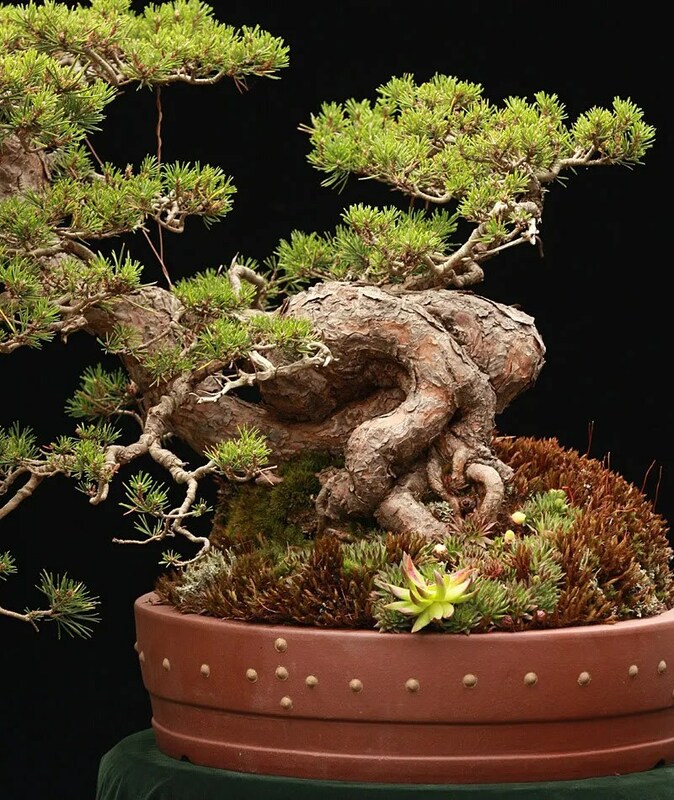 Consider it, in a fashion, as an Intro to Bonsai Horticulture 101/102. This will not reveal anything earth shattering to those long in the art… but to those who do not have easy access to advanced practitioners or still find it all a bit mysterious, it may be the beginnings of an understanding that will grow with your own experience. 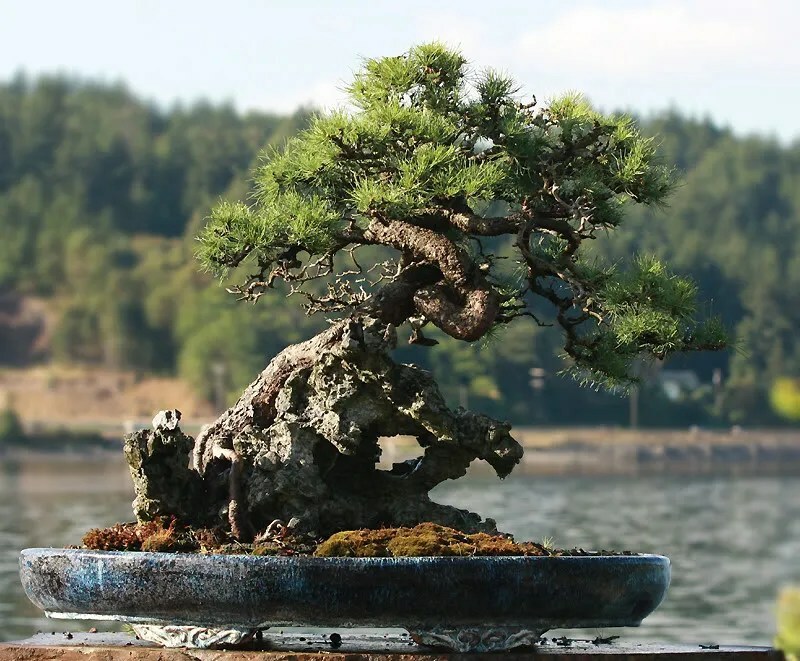 In fact… though we are advanced students, we make no claim to having all the answers, and acknowledge that none of these concepts we are about to put forward are all encompassing to all bonsai. So we invite exploration and conversation about any and all of it… even disagreement… as it will lead to clarity all the way around. 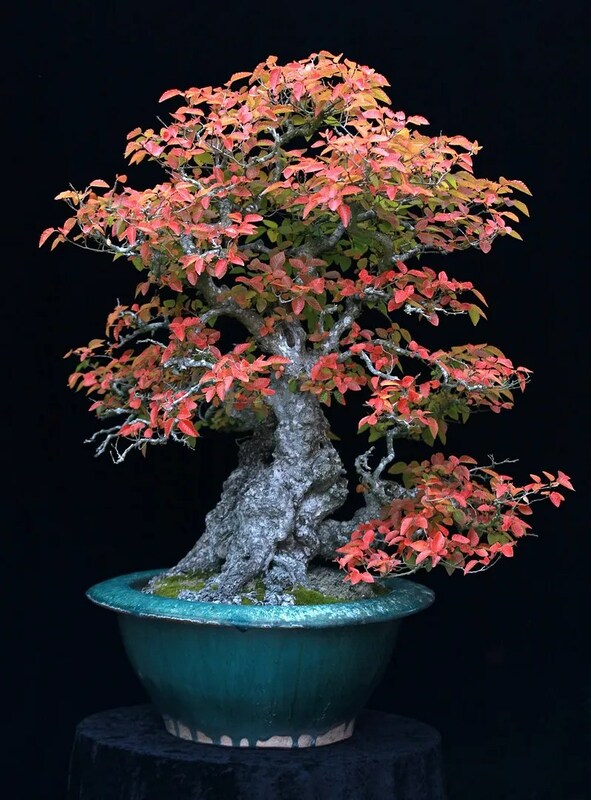 I may not explain something well… and will even venture to say there are likely important omissions – the specific needs of bonsai are as varied as the species we grow. But when we engage in the exchange of ideas and experience, we all tend to be better for it. Our hope is to encourage all of our growth by thinking of how our trees grow in a way that is more holistic… and how the things which we do (both intentional or not) effect the whole tree. Please also note… this essay was written from the perspective of our experience, which is focused on outdoor species. It should be read through that understanding. 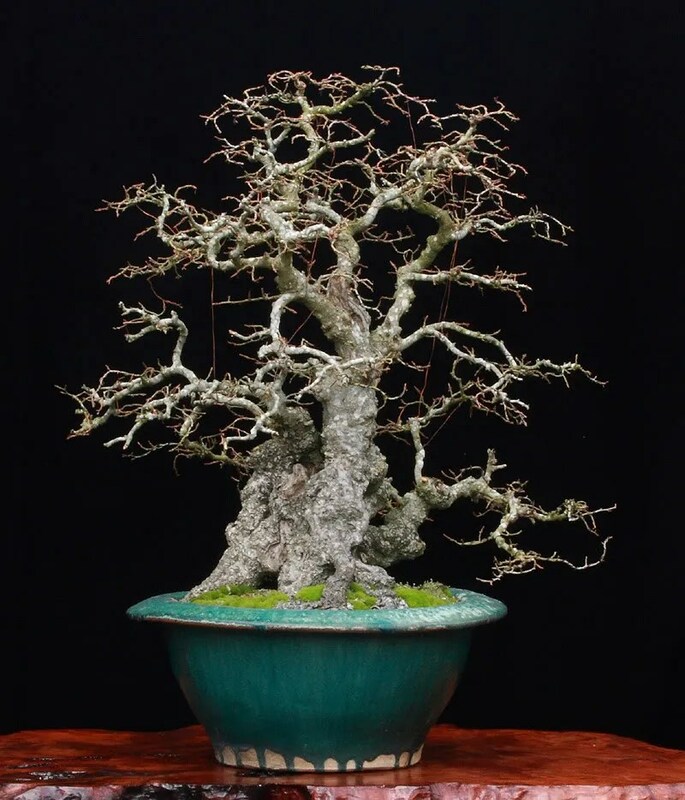 Sometimes we can get caught up in all the esoteric and lofty bits of bonsai… the art at the soul of it. We see images of trees in pots that take us to faraway places, or show us expressions of incredible age and perseverance, and we are captivated. It’s often easy to connect with these trees… they are a deeply visceral experience for those who become devotees – but it can sometimes be difficult to understand how to recognize the needs of our own humble efforts, or how to provide for them, especially for one new to the practice. 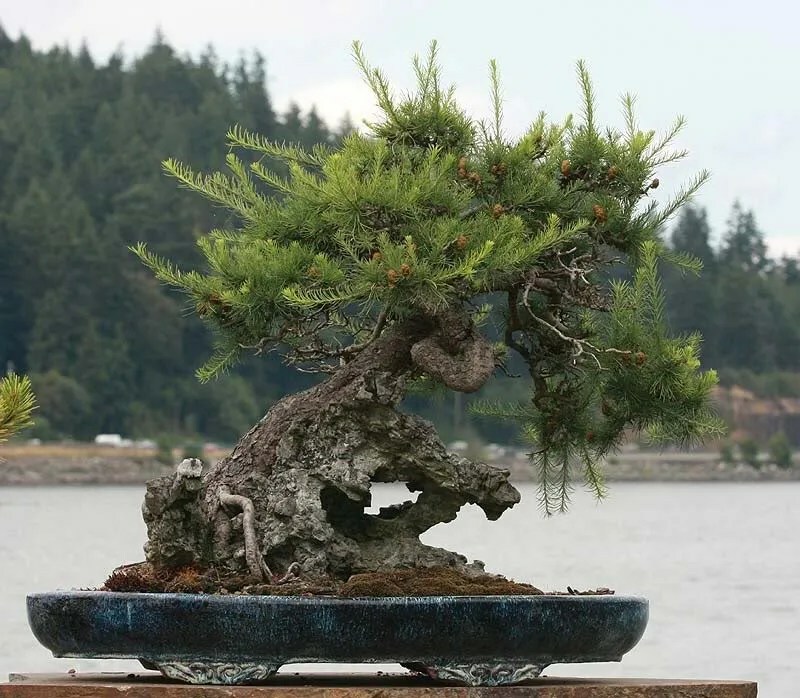 It is in those times, when you hold a tree in your hands with the nervous itch of a parent with a new born babe, that it can be very good to keep in mind what can be thought of as the seven states of bonsai. By states I mean their physical condition/activity in any given time: Active growth, Reproduction, Stasis, Stress, Recovery, Dormancy, and Dead. It is important to know that more than one state can be in play at any given time. 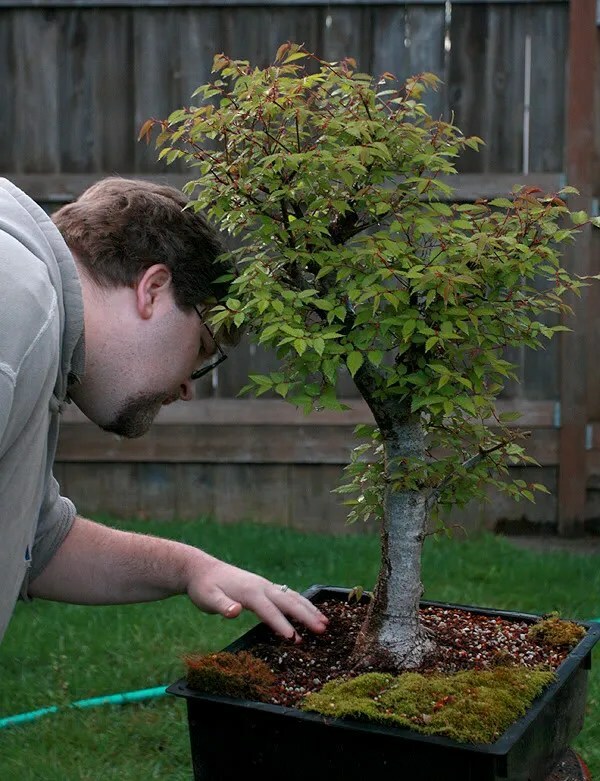 It might even seem ridiculous to some to think of bonsai in such simplified terms – but knowing where you are at, can lead you down the path to know what to do, or better… what questions to ask. You might have even thought it was amusing to read the last state of dead… except that if you understood the consequences and interplay of all the rest, you can make great headway in staving off the last. They don’t even run in any particular order – excepting the last. They are, through the consistent practice of the art, the ever changing dance you will experience over the seasons and years with each and every tree you take into your care. Active Growth: Of them all, active growth is generally the easiest to recognize. A majority of the tree exhibits new and hopefully vigorous growth. When in active growth many different things are occurring simultaneously. Leaves and branches are extending, roots are also extending and multiplying, and in the case of deciduous trees wood is being added over the whole structure of the tree equal to the mass of the extensions of growth. So the more growth added on, the more size the trunk and branches gain. Conifers will tend to add that extra wood at the end of their active growth period, though they can actually add wood in the early stages of growth on particularly strong trees pushing a lot of growth. 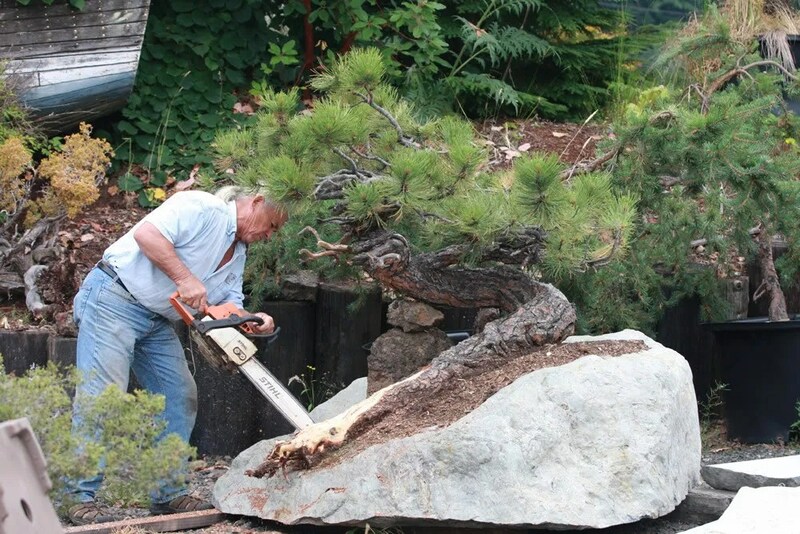 It is also during active growth that most of the “fun” occurs for many people, as that’s when you get to watch the tree change noticeably and there tends to be a lot of opportunities to interact with the tree in terms of pruning/wiring it. For a tree young in its development, a good season of active growth is very important as it creates the structural development needed to form the image you are attempting. Active growth can also be a downright nuisance though when working with a more mature tree. Too much active growth can reverse years of careful attention to the structure of a tree as easily as it can build it in another. Hence controlled growth on a mature tree is a must, where on a young tree radical growth is encouraged to speed up the development of trunk and main branches by unrestricted root growth (planting a tree out in a grow bed or oversized pot)and/or a vigorous feeding program. Note that the development of ramification (both in the sub-branches and roots) is a task completed only with time, and controlled growth. To create a “final” image utilizing juvenile active growth will mean there is little to no taper in the length of the branch, and in creating a refined image, taper is everything. Feeding trees in active growth is a very important part of the season. As fertilizers and regimens vary by species, its best to research the specific needs of your plant keeping in mind its stage of overall development. 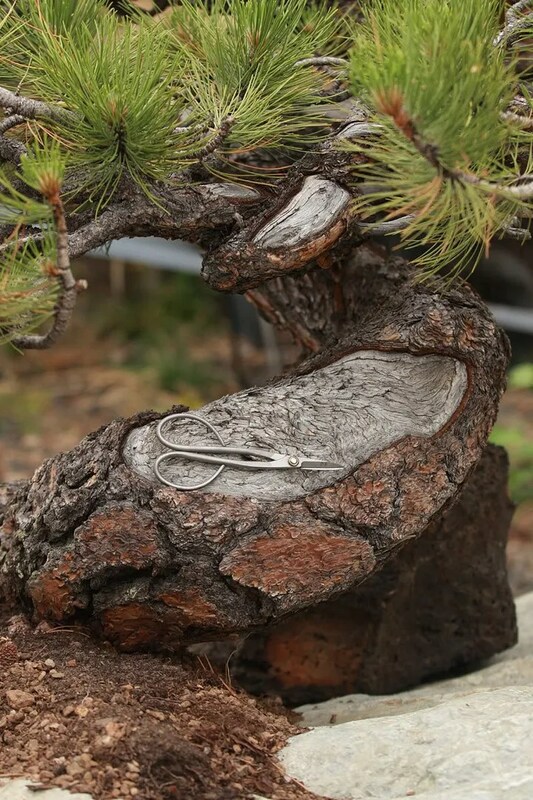 To make a visually pleasing bonsai is a matter of balance in all things. The pot to the tree, the base to the trunk, the trunk to the main branches, and the main branches to the tertiary branches. To make a great bonsai, to our mind, requires the tree to also tell you a dramatic story of survival against the most hostile elements. Even when in our care, those elements still come into play… how to use those elements to support your work is something I will take time to write about as we go along. Today I want to write about sunlight… maybe because it’s February and we actually had two full days of it. Crazy!! We all know that as a general rule sunlight is vital to the health and growth of your trees… but it is also plays an important role in reducing leaf size and promoting ramification of branches on your trees. If you keep your trees in a lot of shade, you’ll find that the leaf size is much larger than trees getting the same care would have in the sun. Think of the role of leaves as solar collectors, when they get lots of light, there isn’t need for the tree to expend energy on making the leaves bigger to have larger collectors. You’ll also notice that leaves in full sun tend to have a waxy feel over the leaves of trees which are in the shade. This coating helps protect the leaves from burning when being exposed to so much UV light. 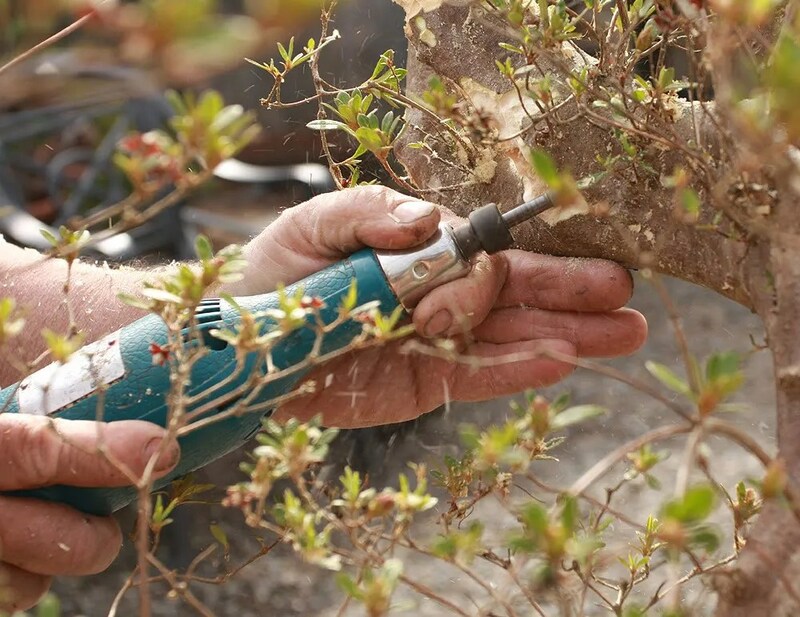 If you have a tree which has been kept in the shade for a long time, be sure to transition it slowly to full light so that it can build up that protection. Sudden radical exposures to sun can crisp up your foliage in as little as a day, especially if not watered properly for conditions. What you should know about our yard… it’s primarily a full southern exposure at the top of a hill with very little tree cover. I should grow hay… not trees… seriously, it’s that bright. But even with this much sun, we’ve worked out how to use the shade cast from the garage to make a good space for shohin sized bonsai and recently potted trees which need protection from prolonged exposure to the sun. Make a note of how sunlight moves across your space… and unless you live on the equator… through the seasons. It’ll help you a lot in managing exposure for your trees. 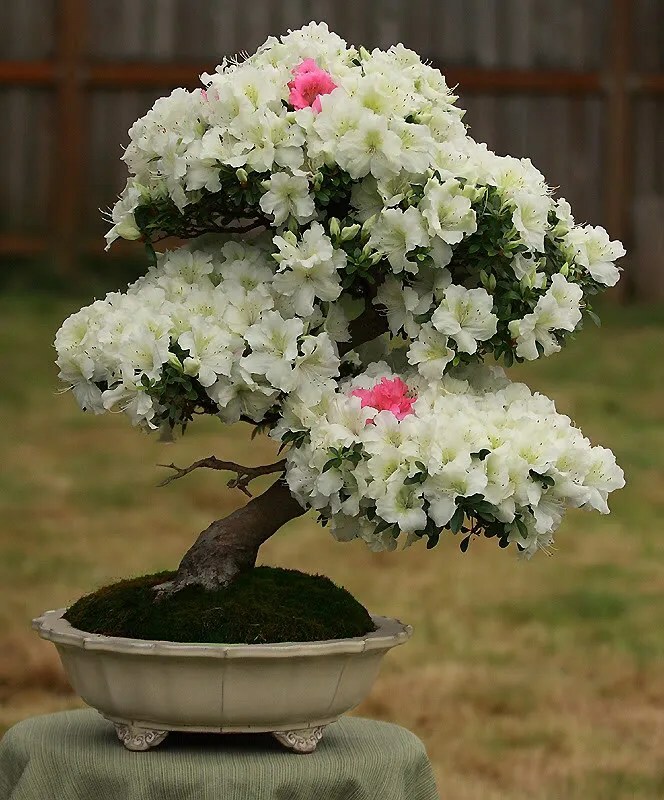 Last year, Eric and I bought a truckload (literally) of azaleas from the estate of a local bonsai gentleman… his backyard was the most shaded out enviornment I’ve ever seen – as in jungle darkness in broad daylight… and consequently the trees he grew tended to be leggy and sparse with very tender leaves. So they spent all of last summer and this winter in the relative complete shade of the front of our garage, and will be moved into a brighter area this spring before being moved in with the rest of our trees in the backyard. With thin barked species like azalea, another thing you have to be mindful of is to not sun scald the trunks. A sun scald is where the bark of the tree has died due to a previously shaded area of the tree’s trunk suddendly getting too much sun. Think of it as a 3rd degree burn. The trunk of the Alaskan Yellow Cedar that Eric showed in a previous post was a case of sun scald that happened post collecting. But what could have been a disaster was turned into part of the story of surviving hostile enviornments. There isn’t any doubt that full sunlight can create a harsh enviornment, but when approached with thought and care, it will make your trees healthier and help get that smaller foliage we all love and admire.